SVN | First Place Commercial Realty Commercial Real Estate Advisors put clients’ interests first. This is why we have become one of the most recognized commercial real estate brands in the world. At SVN | First Place Commercial Realty we believe in and actively practice Compensated Cooperation. This means that our Advisors commit to sharing fees equitably on any given transaction with other agents, outside brokers, and independent agents. All outside brokers and buyers are invited to opportunities and are equally rewarded for their efforts and relationships. Through the practice of Compensated Cooperation, our Advisors are able to expand their market reach in beyond Ohio to reach a larger buying population, allowing them to service their clients on a national level, from Main Street to Wall Street. This increased exposure generates more offers, which leads to maximum value for clients. 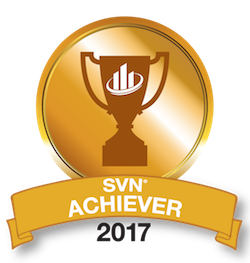 That’s the SVN | First Place Commercial Realty Difference.